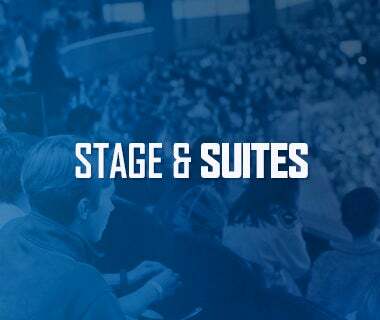 With their elimination from the Calder Cup Playoffs, the Comets’ Fifth Anniversary season has officially come to a close. Despite the First Round loss, the seven months of hockey that fans witnessed at the Adirondack Bank Center brought about some exciting changes coupled with building upon traditions that began in previous years. The Fifth Anniversary season began with upgrades to the home of the Comets. A brand-new Executive Suite wing, women’s restroom, office space, and Labatt Blue Ticket Entrance were among the additions to the newly-renamed Adirondack Bank Center. Due to the final phase of the West End Expansion Project, the Comets hit the road for the month of October, going 4-3-0 in their first seven games played. On Friday, November 10, 2017 the Comets paid tribute to all those who have served with their annual Military Appreciation Night. Prior to puck drop, the Adirondack Bank Center unveiled a POW/MIA Chair Memorial that now sits in the camera well near section 211. The night also marked the first Save of the Day Foundation ‘Star of the Game’ initiative, where, for a minimum $5 donation to Save of the Day, fans filled out a Comets military-themed postcard that was sent to Private First Class Zachery Rosenberger, a native of Herkimer, New York, who is currently serving overseas in Iraq with the United States Army. On Saturday, January 20, the Comets held their second Save of the Day Foundation Night. The Comets, donning their popular black and neon green jerseys, hit the ice with some extra spring in their step on that Saturday, earned a 4-2 victory behind 40 saves of Thatcher Demko and a three-point night by Cam Darcy. And while the showing on the ice was undeniably one of the Comets’ best performances at home this season, it was the various fundraising elements and efforts off the ice that helped amass over $90,000 for the Save of the Day Foundation. The headlining feature of the night – the Save of the Day 15thAnniversary Raffle – gave fans the chance to win over 100 items, many game used, with the purchase of a $20 raffle ticket. The raffle, combined with the 50/50, private donors, suite rentals, OCSLEF t-shirt sales, and Star of the Game postcard sales, totaled over $90,000, a portion of which will be donated back to the Oneida County Sheriff’s Law Enforcement Foundation (OCSLEF) in their efforts to bridge the gap between law enforcement and the general public. It was a quick turnaround as the AHL’s best descended upon Utica, N.Y. for the 2018 AHL All-Star Classic the following weekend. The East claimed the Skills Competition by a score of 18-12. The All-Star Challenge tournament gave the fans everything they could’ve wanted and more. The North and Pacific Divisions met in the championship game for bragging rights. Rochester’s C.J. Smith scored the lone goal of the game and Thatcher Demko and Rochester goalie Linus Ullmark combined for a shutout to earn the 1-0 championship victory. Reid Boucher finished with three goals in four games, and Demko stopped 13 of 19 shots through four games, earning two wins in the process. One of the many high points of the season was the 16-game point streak. The streak was the longest in team history and began on January 13 against Binghamton before coming to an end on February 21 against Lehigh Valley. In addition, the team also had a 12-game point streak on the road, beginning on December 23 at Syracuse and ending on February 19 at Belleville. The entire hockey world was shaken to its core on April 6, 2018 when the Humboldt Broncos of the Saskatchewan Junior Hockey League’s bus collided with a semi-truck, killing 16 and leaving 13 injured. It was at this time, hockey teams around North America banded together and helped the team and the community raise well over $15 million. When the Comets took on their rival the Syracuse Crunch on April 13, the team decided to honor the Broncos by replacing each nameplate with “BRONCOS.” These jerseys would be auctioned off, raising a total of $9,600 for the Broncos. The Comets also handed out PRAY FOR HUMBOLDT bands to all fans in attendance. 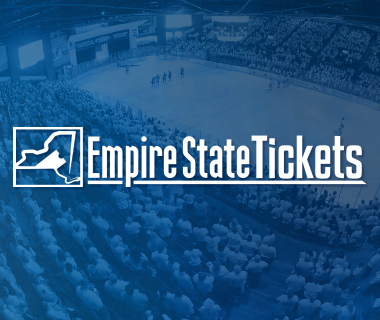 To conclude the season, the fans continued their growing streak of sellout games at the Adirondack Bank Center, with a current running total of 133 games. The count began on April 10, 2015 and has now spanned over three consecutive regular seasons. In terms of the AHL record for consecutive sellouts, the Adirondack Bank Center has sold out 116 consecutive regular season games. 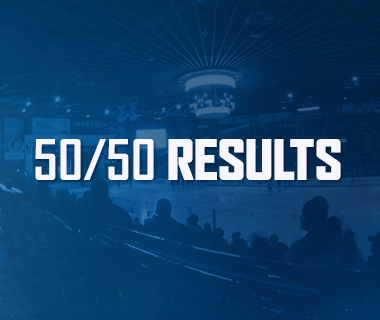 The current league record is held by the St. John’s IceCaps with 120 games from October 10, 2011 to October 26, 2014. In keeping with traditions built during the Inaugural season, players were active in the local community, lending a helping hand wherever and whenever possible. Volunteer days at the Rescue Mission and an extensive Adopt-A-Family program were just two of the many appearances that Comets players embarked on during their off days. 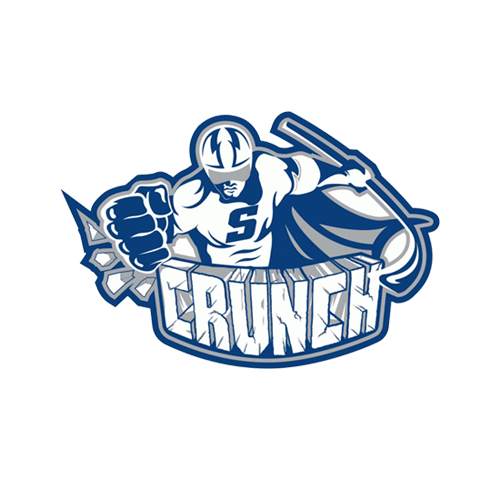 Utica Comets players also entered their third year of the Mentorship program with the Utica Jr. Comets, where they served as role models and friends to younger players in the organization. Though the playoff run was cut short, there is much to look forward to heading into next season. 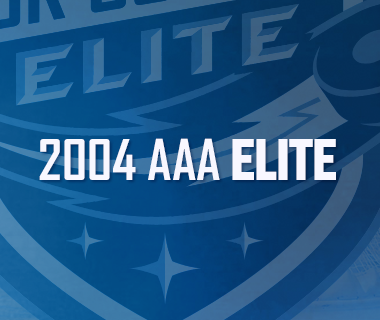 On the road, the Comets went 21-12-4-1, giving them the 7thbest road record in the American Hockey League. The power play finished at 18.0%, good for 14thin the AHL and the highest power play percentage in team history. The penalty kill finished at 85.5%, a mark good for second in the league, the highest they’ve finished in team history. Despite the second best penalty kill, the Comets would surrender four power play goals against on December 1 against Bridgeport. The Comets had 58 players play at least one game this season. The Comets had a team record 16-game point streak from January 13 to February 19, tied for longest in the league. Utica also recorded at team record 12-game road point streak from December 23 to February 19. The Comets strongest period this season was the first period, finishing with a goal differential of +13. During the regular season, the third period was not kind to the Comets, they were outscored 54-78, a differential of -24. The Comets did not go a game without a minor penalty. The closest they came was December 13 at Rochester and February 21 against Lehigh Valley, only taking one. A new record for most penalty minutes in a period was set this season on March 4 against Binghamton when the Comets were charged with 50 minutes in penalties. A 7-1 victory against Belleville would mark the Comets largest margin of victory in the 2017-18 season. 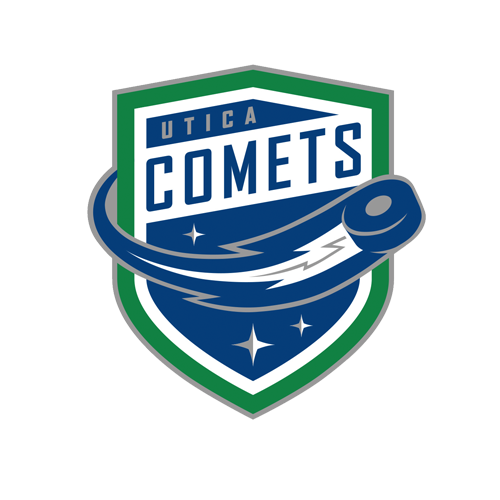 The Comets longest losing streak would reach six from February 21 to March 4. Reid Boucher scored the seventh hat trick in team history on January 7. Reid Boucher led the team in goals (25) and points (46), setting career highs in both categories. Patrick Wiercioch had 27 assists to lead the team. Reid Boucher was named the CCM/AHL Player of the Month for January 2018 with 14 points (9-5-14) in 11 games, making him the first Comet to win the award. Thatcher Demko was named CCM/AHL Goaltender of the Month for October compiling a 4-1-0 record with a 1.61 goals against average, a .950 save percentage and one shutout. Zack MacEwen led the team in rookie scoring with 10 goals, 23 assists and 33 points. Wacey Hamilton achieved career highs in assists (18) and points (22). ·Michael Carcone tripled his goal total in his second season, netting 15 goals this season to finish third on the team. Cole Cassels set career highs in goals (7), assists (19), and points (26). Joseph LaBate led the team in penalty minutes with 87. Michael Chaput’s 20 power play points were most on the team. Patrick Wiercioch’s 37 points led all Comets defensemen. Cole Cassels played the most games with 69. Reid Boucher set a Comets’ single season record for goals in a season, scoring his 24thof the year on February 24 and extending the record to 25 with a goal on March 3. Thatcher Demko set the record for most wins in a single season (25) and all-time wins by a goaltender (47) on April 15. Cole Cassels played his 200thprofessional game on April 7. Patrick Wiercioch played in his 200thAHL game on March 9.